Many original members of No.9 originated from No’s 6 & 7 independent companies coming together under the command of No.2 Special Service Battalion in the autumn of 1940. C.O. was Lt Col John Maclean (Jack) Saegert, RE. Private John Anderson was killed during operations at Monte Ornito and Monte Faito, Italy. His name is also on a Marble Roll of Honour on Monte Ornito. Image credit Ian Anderson (nephew). Lance Bombardier Jack Aspden was one of the Commando contingent on board ML 267 for the raid at St. Nazaire. The launch was hit by enemy fire and sank. Eight of the 11 Commandos, and all bar 5 of the RN crew, on board were killed. 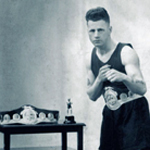 Jack Aspden was taken prisoner of war . On the 21st September 1946 he was commissioned Second Lieutenant with the Loyal Regiment . Private David Balfour died during an operation against German forces in the wadis near the Anzio beachhead. Captain David Balls died during an operation against German forces in the wadis near the Anzio beachhead. Corporal Francis Balneaves died during operations in the area of the Garigliano River, Italy. Private John Banks died during operations at Monte Ornito and Monte Faito, Italy. His name is also on a Marble Roll of Honour on Monte Ornito. Private James Bannon died during an operation against German forces in the wadis near the Anzio beachhead. Lance Sergeant Harold Barton was awarded the MM in recognition of gallant and distinguished services in Italy . 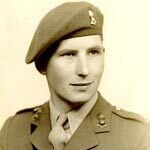 In the 1950's Harold Barton MM, from Didsbury, was an active supporter of his local branch of the Commando Association . Regimental Sergeant Major Tom Beardsmore was killed during operations at Mount Ornito and Monte Faito, Italy. Before the war commenced, whilst a Lance Corporal with the 2nd Bn., North Staffs., he was amongst a group of service personnel whose names were brought to notice by the General Officer Commanding the British Forces in Palestine and Trans-Jordan, in recognition of distinguished services rendered in connection with the operations in Palestine during the period, 12th September, 1937 to 31st March, 1938. Private Walter Bilsborough died of wounds received during operations at Monte Ornito and Monte Faito, Italy. There is a possible photo of him in our No 9 Commando gallery titled "Some of No 9 Commando 1 Section.” His name is also on a Marble Roll of Honour on Monte Ornito. 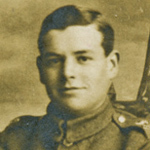 Lieutenant George Bisset died during operations in Italy . He received a posthumous Mention in Despatches in recognition of gallant and distinguished services in the field . 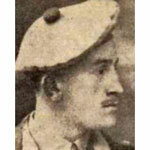 Private James Blackie died during operations at Monte Ornito and Monte Faito, Italy. His name is also on a Marble Roll of Honour on Monte Ornito. Corporal Thomas Bostock was awarded the MM in recognition of gallant and distinguished services in Italy. Read more in our Forum [Here]. 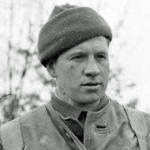 The death of Thomas Bostock MM of Burton-in-Wirral was announced in Commando Association newsletter 96 issued March 1993. London Gazettes 29 June 1944 Supp 36586, page 3072. 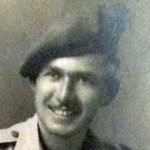 Sergeant Herbert Brierley served in Nos.12 and 9 Commandos. Source: Obituaries Commando Association newsletter 35. Private Charles Brown is believed to have died in a battle accident on board a ship. At the time of his death No 9 Commando were engaged in operations by the Pelopenese peninsula, Greece. They were transported to various locations on HMS Prince David. More can be read of this period in our No 9 Commando Overseas History document. Private John Brown died during operations in the region of Lake Comacchio and Argenta. Lance Corporal Reid Brown died during an operation against German forces in the wadis near the Anzio beachhead. Lance Corporal Leslie Burgess died during the raid at St Nazaire. He was one of the commando contingent on ML 268. Captain Kenneth Campbell, 4 troop, died on the 9th September 1941 of injuries received in a m/c accident that occurred on the night of 5th September. Rifleman Alexander Chambers died during operations at Monte Ornito and Monte Faito, Italy. His name is also on a Marble Roll of Honour on Monte Ornito. Lance Bombardier Wilfred Chancellor died during an operation against German forces in the wadis near the Anzio beachhead. Major Francis Clark died during operations at Monte Ornito and Monte Faito, Italy. His name is also on a Marble Roll of Honour on Monte Ornito. Corporal William Coles died during an operation against German forces in the wadis near the Anzio beachhead. Lance Sergeant Leonard Coupe died during an operation against German forces in the wadis near the Anzio beachhead. He received a posthumous MiD in recognition of "gallant and distinguished services in Italy." London Gazettes Supp. 36886, page 318. Company Sergeant Major Albert Craig died during an operation against German forces in the wadis near the Anzio beachhead. Lance Corporal John Cramer, RAMC attached to No. 9 Commando, received a MiD in recognition of gallant and distinguished services in Italy in 1944 . The following year in 1945 it was announced that he had been further awarded the MM for his gallantry in Italy . London Gazettes Supp. 36668, page 3935, 24 August 1944. London Gazettes Supp. 37235, page 4270, 23 August 1945. Lance Corporal Robert Crawford died during operations in the area of the Garigliano River, Italy. Lance Bombardier Samuel Daniels was awarded the MM in recognition of gallant and distinguished services in Italy. The death of LBdr. Samuel Daniels, MM. (9 Cdo) of Billinge, Lancs. was announced in Commando Association newsletter 83 issued September 1986. London Gazettes Supp. 37235, page 4270. National Archives file WO 373/13/415. Corporal James Deans died during the raid at St Nazaire. He was one of the commando contingent on ML 457. Private Robert Dickie died during an operation against German forces in the wadis near the Anzio beachhead. Lieutenant Philip Diimalow died during operations at Monte Ornito and Monte Faito, Italy. His name is also on a Marble Roll of Honour on Monte Ornito. Lance Corporal Ronald Duncan died during the raid at St Nazaire. He was one of the commando contingent on ML 268. 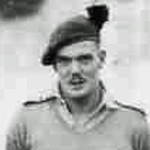 Sergeant Duncan Dundas died during operations in the area of the Garigliano River, Italy. Rifleman George Eden died during an operation against German forces in the wadis near the Anzio beachhead. Private William Edmonds died during operations at Monte Ornito and Monte Faito, Italy. His name is also on a Marble Roll of Honour on Monte Ornito. Private Henry Farmer died during operations at Monte Ornito and Monte Faito, Italy. His name is also on a Marble Roll of Honour on Monte Ornito. Private John Farquhar was awarded the MM  in recognition of gallant and distinguished services during operations West of the Garigliano River, Italy on the night of 29/30 December 1943 . 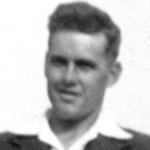 Lance Bombardier Robert Forbes died during operations at Monte Ornito and Monte Faito, Italy. His name is also on a Marble Roll of Honour on Monte Ornito. Lance Corporal James Gardner died during operations at Lake Comacchio, Italy. Private John Gellatly died during operations at Monte Ornito and Monte Faito, Italy. His name is also on a Marble Roll of Honour on Monte Ornito. Lieutenant Thomas Greenshields died during operations at Monte Ornito and Monte Faito, Italy. He received a posthumous MiD for "gallant and distinguished services in Italy." London Gazettes Supp. 36886, page 326. Private John Grieve was accidently killed by a mine on Portland Range whilst training. A Court of Inquiry was held on the 20th May and reconvened on the 29th May 1943. Pte Grieve had apparently previously served in No 6 Commando. Lance Sergeant John Hodkinson was awarded the MM in recognition of gallant and distinguished services in Italy. Lance Sergeant Leslie Hopkins was awarded the DCM in recognition of gallant and distinguished services in Italy. The death of Sgt. Leslie Hopkins, DCM. (9 Cdo) of Rothesay, Bute, was announced in Commando Association newsletter 84 issued March 1987. London Gazettes 23 August 1945 Supp. 37235, page 4269. National Archives file WO 373/13/364. Lance Corporal George Hughes was recommended for the D.C.M., but actually awarded the M.M. Sergeant Harry Jackson was awarded the MM in recognition of gallant and distinguished service in Italy on the 19th March 1944. London Gazettes Supp. 36615, page 3377. National Archives file WO 373/6/596. Lance Sergeant Robert Jameson died during the raid at St Nazaire. He was one of the commando contingent on HMS Campbeltown. 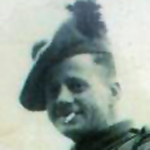 Private Robert Johnstone died during operations at Monte Ornito and Monte Faito, Italy. His name is also on a Marble Roll of Honour on Monte Ornito. 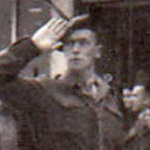 Private John Keil died during operations at Monte Ornito and Monte Faito, Italy. His name is also on a Marble Roll of Honour on Monte Ornito. Private George Kennoway died during operations at Monte Ornito and Monte Faito, Italy. His name is also on a Marble Roll of Honour on Monte Ornito. Private Robert King, from Aberdeen, was awarded the MM in recognition of gallant and distinguished services at Lake Comacchio in Italy. London Gazettes Supp. 37162, page 3495. Sergeant Harold Kingsbury MM died during an operation against German forces in the wadis near the Anzio beachhead. He had been awarded the MM in 1939 whilst a Lance Corporal in the 1st Bn., Border Regiment for "gallant and distinguished services in Palestine." London Gazettes Supp. 34607, page 1765. 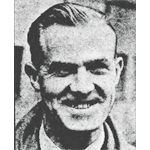 Captain Harry Kither MC was killed during operations at Lake Comacchio and the Argenta Gap. He had been awarded the MC "in recognition of gallant and distinguished services in Italy." London Gazettes Supp. 37162, page 3494. Fusilier Peter Lane died during operations at Monte Ornito and Monte Faito, Italy. His name is also on a Marble Roll of Honour on Monte Ornito. Lance Corporal Anthony Lody died during operations at Lake Comacchio, Italy. Neil Macinnes was the Regimental Sergeant Major of No 9 Commando at the time of his death. The No 9 Commando War Diary for January 10th 1942 records the following "2974803, R.S.M. McINNES N, died of self inflicted gunshot wound." 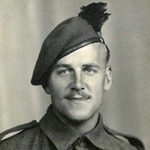 Corporal Ian MacKenzie died during operations at Monte Ornito and Monte Faito, Italy. His name is also on a Marble Roll of Honour on Monte Ornito. Private Leslie Matthews, born and brought up in Blackpool, died during operations at Monte Ornito and Monte Faito, Italy. His name is also on a Marble Roll of Honour on Monte Ornito. Captain Christopher McDougall-Porter died during operations at Monte Ornito and Monte Faito, Italy. His name is also on a Marble Roll of Honour on Monte Ornito. 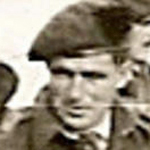 Private Ronald McGowan died during operations at Monte Ornito and Monte Faito, Italy. His name is also on a Marble Roll of Honour on Monte Ornito. 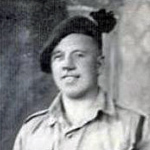 Lance Sergeant Alexander McKinnon died during operations at Monte Ornito and Monte Faito, Italy. His name is also on a Marble Roll of Honour on Monte Ornito. Lance Sergeant George McPherson was awarded the MM in recognition of gallant and distinguished services in Italy . Post war he served with the Dorset Police attaining the rank of Detective Inspector . Private Roy Mesmer died during operations at Monte Ornito and Monte Faito, Italy. His name is also on a Marble Roll of Honour on Monte Ornito. 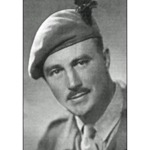 Fusilier Bertram Moir died during an operation against German forces in the wadis near the Anzio beachhead. Private Barrie Monk died during operations at Monte Ornito and Monte Faito, Italy. His name is also on a Marble Roll of Honour on Monte Ornito. 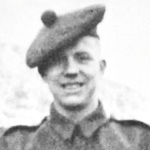 Private Andrew Morrison died during operations at Monte Ornito and Monte Faito, Italy. His name is also on a Marble Roll of Honour on Monte Ornito. Read more about MORRISON, Andrew Wright P.
Private Gilbert Neilson died during operations in the area of the Garigliano River, Italy. Private John Newson died during an operation against German forces in the wadis near the Anzio beachhead. Gunner Ivor Parkin died during operations at Lake Comacchio, Italy. Served under an alias. View his full record HERE. Read more about POWER, T.
Gunner Robert Prestage died during operations at Monte Ornito and Monte Faito, Italy. His name is also on a Marble Roll of Honour on Monte Ornito. Lance Corporal Charles Pringle died during an operation against German forces in the wadis near the Anzio beachhead. Private Thomas Quigley died during an operation against German forces in the wadis near the Anzio beachhead. Warrant Officer Class 2 George Reace was awarded the DCM , and was also MiD , both in recognition of gallant and distinguished services in Italy. The death of George Reace DCM of Prescott, Arizona, U.S.A. was announced in Commando Association newsletter 112 issued March 2001. Private Julian Rolfe died during an operation against German forces in the wadis near the Anzio beachhead. He receivid a MiD for "gallant and distinguished services in Italy." 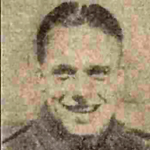 Private Robert Ross died during operations in Italy. Private Andrew Scott was awarded the MM in recognition of gallant and distinguished services in Italy. Former Company Sergeant Major Archie Scott of No. 9 Commando died in 1956 as the result of a pit accident at Maltby Main Colliery, S. Yorks. [Source: Commando Association newsletter 23]. Lance Sergeant Clifford Searle, 5 troop, was awarded the MM  for his gallantry during Operation Roast at Lake Comacchio, Italy .